The following content is created in consultation with Hill’s Pet Nutrition. It does not reflect the work or opinions of the NBC Owned Television Stations Group editorial staff. To learn more about Hill’s Pet Nutrition, visit HillsPet.com. Did you know that Pet Parents tend to be happier and healthier than non-pet parents? That’s because people who have pets often have lower blood pressure, cholesterol levels, and heart rates, while enjoying more robust social lives. Simply put: Pets help us lead a more active and engaged life. From requiring that we exercise alongside them, to giving us unconditional love, pets bring out the best in us. Hill’s Pet Nutrition, always uses science and research to develop healthier nutrition to enrich the lives of pets, the same way that science and research reveal that pets can help enrich our own lives. So just how do pets enhance our lives? According to a Harvard Medical School report, “Get Healthy, Get a Dog: The health benefits of canine companionship,” researchers found that dogs had myriad positive effects on their owners. Speaking of that relationship, what are the most surprising ways in which a pet can improve our lives? And how do these cute, four-legged friends bring so many added benefits to both our physical and emotional well-being? Read on for a few of our favorites. After a stressful day in the office, few things are more comforting than having our dog, cat, or other pet greet us when we come home. Those eyes just exude unconditional love and understanding! But the stress-lowering effect a pet has on us goes beyond the cute factor. Research shows that petting our, well, pets can prompt our bodies to release happy hormones like serotonin, prolactin and oxytocin, while playing with them can greatly reduce levels of cortisol — aka the stress hormone. It’s no wonder that dogs and cats can become wonderful therapy animals in hospitals and even offices. Sadly, if you suffer from allergies or asthma, sharing your life with a pet won’t cure you, but it could vastly reduce your children’s risk. 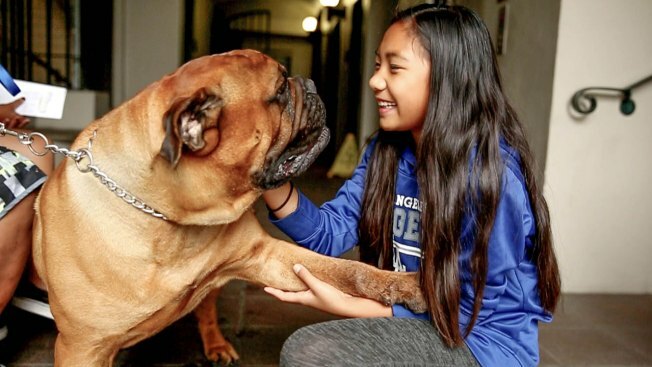 A 2015 study found that children exposed to dogs in their first year of life were 13 percent less likely to develop asthma thanks, most likely, to the immune system-boosting benefits of such contact. Cats, on the other hand, can bolster kids’ immune systems against common allergies to dust mites, ragweed, and grass according to a 2002 National Institutes of Health study. It’s no secret that dogs keep you active, with some Pet Parents walking miles upon miles a day. In fact, a recent study found that people who walk their dogs took 2,760 more steps a day than non-owners. This increased activity leads to lower blood pressure, lower cholesterol, and a lower resting heart rate. Due to their calming nature, cats can be just as beneficial. A University of Minnesota Stroke Institute study reported that people who live with cats had 30 percent less risk of dying from a heart attack or stroke than those without felines in the house. Contrary to the common stereotype (we’re looking at you fans of the “cat-lady” joke), Pet Parents aren’t lonely people. Taking care of a pet gives us a sense of purpose, ensures we benefit from constant physical contact, and — surprisingly — encourages us to open up. Research has found that people suffering from grief are often comfortable sharing what is truly in their hearts with their four-legged, non-judgmental companions, thus enabling these humans to move past traumatic events. Don’t blame us, but adopting a shelter pet could lead to you kicking your spouse out of bed. According to a Mayo Clinic Center for Sleep Medicine study, 41 percent of participants reported that the calming presence of a pet led to a better night’s sleep. That said, please keep in mind that it could take a little while until your pet gets used to their new home, especially with puppies and kittens. When it comes to looking after your physical well-being, pets have got your back in some pretty profound ways. Dogs — thanks to their heightened sense of smell — have been known to literally sniff out cancer in their humans, prompting them to go to the doctor and benefit from early detection. Over the years, cats have displayed similar superhero traits, like warning their human companions of gas leaks and oncoming epileptic seizures. Turns out the joke is true: walking a cute dog is a great way to meet would-be romantic partners. It’s also a great way to simply make friends. Humans are considered far more approachable when they’ve got a furry, four-legged, happy-go-lucky companion in tow. One minute a stranger is petting your pup, saying all manner of silly things, and the next you two are striking up a friendly conversation. Ready to adopt a shelter dog or cat of your own? Of course you are! And you’re not alone: In 2017, more than 80,000 pets were adopted across the country as part of NBCUniversal Owned Television Stations’ Clear the Shelters™ pet adoption campaign. Since 2015, NBC and Telemundo stations and their shelter partners have helped more than 150,000 pets find new homes through Clear the Shelters™. 2018 is sure to be another banner year. But before you welcome your new furry friend into your family, you’ll want to make sure your home is ready. That starts with stocking up on the right pet food. With their science-based products and perfect balance of natural ingredients, Hill’s Pet Nutrition creates nutrition that can transform your pet’s life, helping to enrich and lengthen the special relationship you share with them. To learn more about how Hill’s Pet Nutrition can enrich the life of your new pet, visit HillsPet.com.